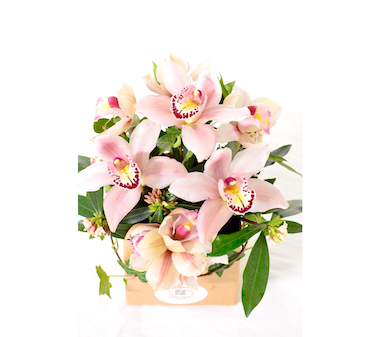 OR3 Cymbidium Orchid Flowers Arrangement in box. Single Cymbidium Orchid flowers arranged with contrasting green foliages. Send Long lasting Cymbidium Orchids for all occasions. OR3 Cymbidium Orchid Flowers Arrangement in box. Single Cymbidium Orchid flowers displayed with minimal greeneries. Send Long lasting Cymbidium Orchids for all occasions.